Why do we settle for bad leaders? 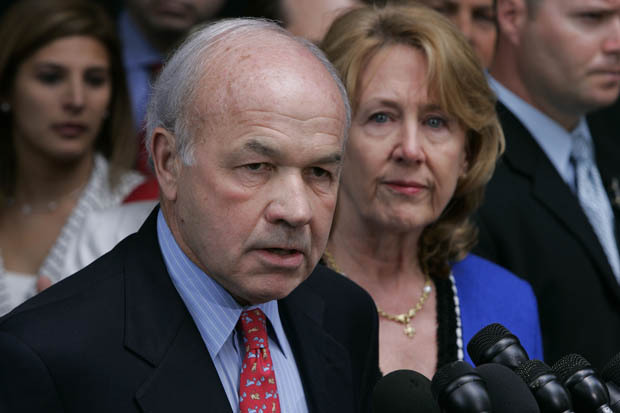 Enron founder Kenneth Lay during his 2006 corruption trial. From the Roman Emperor Nero, to the Borgia Pope Alexander VI, to Enron’s Ken Lay and Jeff Skilling, the history of politics and enterprise is filled with destructive leaders who do real harm to their organizations and followers. In her book The Allure of Toxic Leaders, scholar Jean Lipman-Blumen argues that followers regularly and knowingly tolerate, seldom unseat, frequently prefer and sometimes seek out misguided and malevolent leaders. Why? At a very basic physiological level we all need safety, simplicity and certainty in our lives. Lacking an alternative, even a bad leader can satisfy these most basic human needs and provide a sense of order and stability. Leaders, whether good or bad, fulfill our need for authority, security and cohesion with others, writes Lipman-Blumen. Leaders, good or bad, offer us a safe harbor, group solidarity, identity and a clear recognition of our place in the world. Good leaders or bad, we are compelled to follow “because the cost of not following is, more often than not, too high,” she writes. Margaret Chase Smith, a former Republican senator from Maine, once suggested that when given a choice between anarchy and tyranny most individuals inevitably chose tyranny. Why? Anarchy lacks collective structure, cohesiveness, organization, direction, and/or a specific purpose. Anarchy is without boundaries and limits. It offers us no coherent picture of the world. The desire for leadership is seemingly part of our social DNA, we need it, we seek it out, we are desperate for it. And, in desperate times, we are often too willing to embrace bad leaders, toxic leaders who promise to assuage our needs and provide certainty in a disordered and uncertain world. Bottom line – good or bad – leaders help us to make sense of the world in which we operate.